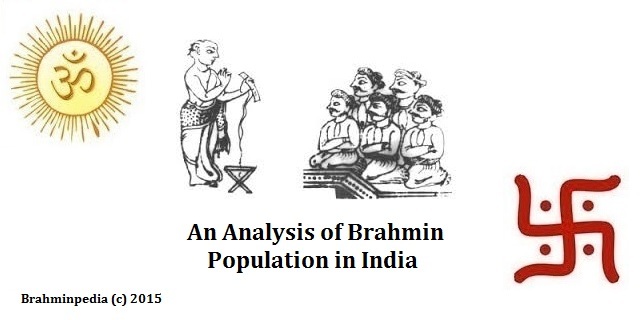 In this post I will talk about the migration of Brahmins as per Navsari Plates of 740 AD. Avanijanashraya Pualkeshiraja (also known as Avani Janashraya Pulakeshin) belonged a line of viceroys who had close relation to the Chalukyas of Badami, ruled around the Surat region of Gujarat with capital in Navsari. Avani Janashraya Pulakeshin is famous for his victory over the Arabs whom he crushed in war. He was also therefore also known as Anivartaka-nivar-tayitri (the Repeller of the unrepellable). 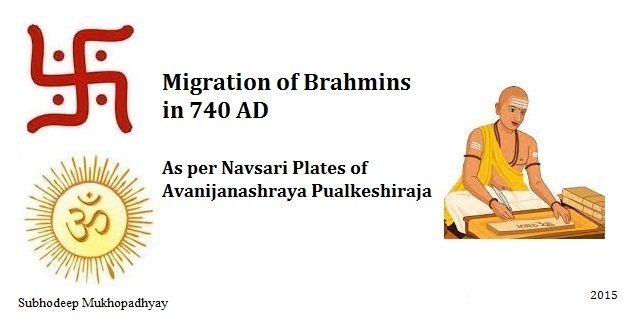 As per the Navsari Plates of 740 AD, Avanijanashraya Pualkeshiraja granted a village near Navsari in Gujarat to a Brahmin Kanchala (Sanskrit: काञ्चल , Bengali: কাঞ্চল ), son of Govindali ( Sanskrit: गोविंदलि , Bengali: গোবিংদলি ) from historical region Vanavasi in Uttara Kanada dsitrict (north Kanara) of Northern Karnataka. 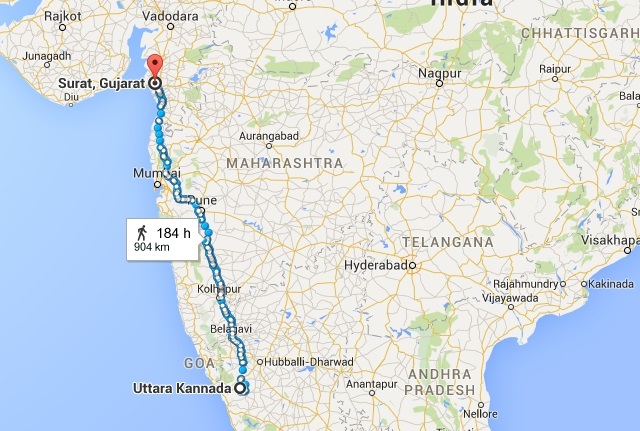 Thus in 740 AD, Kannada Brahmin, Kanchala migrated from Uttara Kanada ddistrict (North Kanara) to Surat in Gujarat as per Navsari Plates of Avanijanashraya Pualkeshiraja.